Style Intelligence Reviews Recently Reviewed! Comments: I love this product! I was tasked with finding a BI tool to support our growing need for a web based interactive reporting and dash boarding tool. A colleague and I agreed that InetSoft's Style Intelligence was our number one pick after reviewing 8 or 9 other top names in the business. 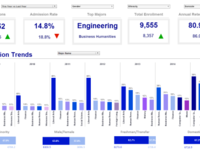 Creating dashboards is very intuitive and easy to use with its drag and drop functionality, and the variety of visualization components at your disposal is impressive. The real power behind the tool is in the "Worksheet" where the query design happens. The tool allows you to connect to multiple data sources including various types of databases, spreadsheets and text delimited files. The ability to "mash-up" data from many different sources including my own customized datasets (in spreadsheet or csv format) is an extremely powerful feature. The interface for building the query is very intuitive, just drag and drop data fields from the selected data source to create a data block. Join multiple data blocks, add custom expressions and create summary queries using any of the categorical fields in the data block. 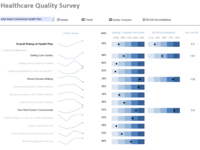 The completed Worksheet is the foundation for building the visual components of the dashboard and/or reports. The filtering capabilities at the dashboard level allow you to interactively visualize any subset of data, using any field in the database. With the selection tree component, we can allow a hierarchical view of the data; allowing a manager, for example, to drill into any level of their reporting hierarchy. Pros: . Customer service is the best I've encountered among software vendors. All the technicians are extremely knowledgeable, patient and will make every effort to accommodate your schedule and resolve the issue in a timely manner. . The ability to "mash-up" data from multiple sources without IT intervention is a wonderful thing! . The archive of Youtube videos is also extremely helpful for the beginner and the seasoned veteran who has forgotten some of the things learned in the training. . The software architecture is powerful and flexible enough to accommodate just about any requirement thrown at you. If you can envision the desired results, you can most likely create it with this software. . Their concurrent licensing model allows more users to access the system, without purchasing individual licenses. Comments: I initially started out looking for a Reporting System to meet our specific needs. We were a small company that used Zoho CRM and Zoho Reports. Zoho Reports has a lot of features for being so cheap, however, we wanted to design our own CRM with SuiteCRM. This meant we would need to switch to something that had a lot of capability of larger enterprise solution Reporting Systems, but with a Small Company Price Tag. I evaluated over 50+ Reporting Solutions such as Qlikview, Report Plus, Tableau, BIME, and Yellowfin to name a few. 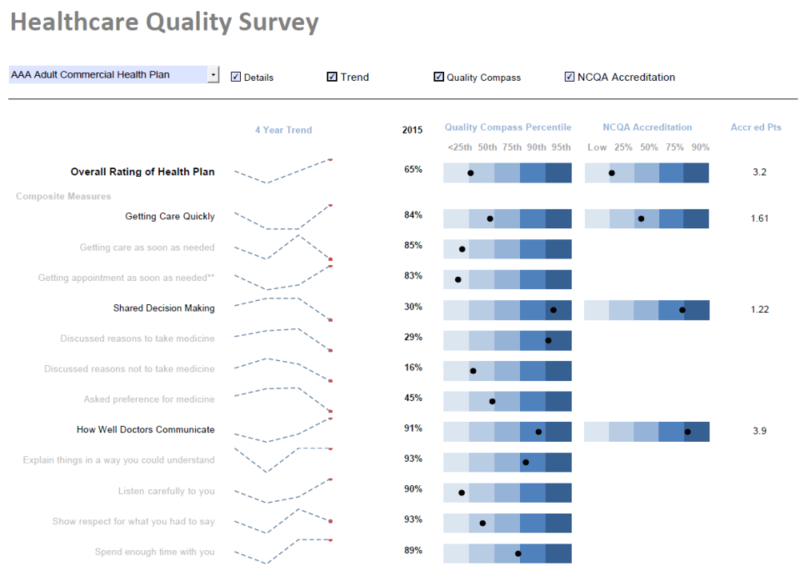 This one beat them all, it has a complexity that reminds me of Qlikview without the 3 Months of Training Required. It has the flexibility of BIME when placing features on the Dashboard, if not better really. We had a report called our 'Downline Report', which is a unique report for each agent that accesses it. With over 300+ agents, making a unique one for each was a pain in Zoho Reports. With this one, I was able to make 1 report with 1 user account. We then used our online Portal that we built to uniquely filter this report by passing filters into the URL, which was then passed into a MySQL statement each time it was accessed. This made it so that I can make 1 change to the Report and it would change for everyone. Excellent Reporting System, Excellent Price, and Great Customer Support. Cons: -Robust Aesthetics, has lots of options for colors, and with some work, you can make it look pretty good, but I think they have room for improvement here. -Data Source Connection Application must be installed on Windows, however, the rest of the Reporting System can be accessed via Web Browser, this all needs to be put online, this is pretty standard for most applications in 2017. -If installing on Linux, you will need to have a Linux Administrator handy to assist. Comments: We reviewed no less than a dozen analytics application platforms before selecting Style Intelligence. We have no regrets, the platform is solid, dependable, flexible and meets all our current and foreseeable analytic needs. Cons: - Learning curve can be high for creation of advanced worksheets and dashboards - Replacement of root level blocks on the worksheet is not as easy as it could be. Requires too many steps. -Similarly, altering data source for the worksheet blocks is difficult. Comments: I use Inetsoft Style Studio almost daily at my job. Pros: Connects to many commonly used databases, relational and multidimensional, as well as column-based data warehouses. Cons: Less flexible for customization report. Overall: InetSofts Style Intelligence is robust and flexible business analytics software that scales to enterprise level. The platform, which has a remarkably small footprint, is built to serve the needs of OEM and enterprise developers, an agile, self-service development tool that simplifies advanced data mashups, interactive dashboards, scorecards, exception alerts, and enterprise reporting. Comments: I have been using this product for almost 2 years, and I find it simple to use and gives reliable results. I recently had a team trying to create a report for 2 weeks with another BI product. Since they couldn't build what they needed they came back to me. I was able to get it for them in less than a day with InetSoft. This has been a common theme here. I am a one person team getting reports to the business faster than the multiple person BI team can create them. I love this product! Pros: Ease of use, fast performance, customer support is fast to respond and has answers, On the rare case I find something that doesn't work as I expect they give me a workable solution and get an update out quickly. Great online videos to learn how the product works. Really a great product! Cons: Still looking to find things I don't like. Comments: This is the only tool I have found on the market that could fulfill my requirements 100%. We had a custom built application that we needed to duplicate and Style Intelligence was the only that could do the job. Customer service is great to work with and have made the adoption of Style Intelligence a success in our organization. 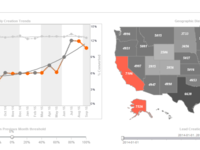 If your looking for a tool to analyze your data you can't go wrong with Style Intelligence. Cons: Overall I have had good experience with Style Intelligence. A few times when dealing with the support team it has taken some time to respond or resolve my issues, however, my issues have always been resolved. Comments: We reviewed no less than a dozen Data Analytics platforms before selecting Style Intelligence. We have no regrets, the platform is solid, dependable, flexible and meets all our current and foreseeable data analysis needs. Cons: - Learning curve can be high for creation of advanced worksheets and dashboards - Altering data source for the worksheet blocks takes time. Pros: Very light and easy to integrate. Brushing, selection container provides rich interactivity. 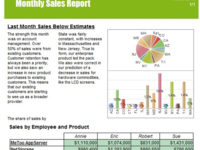 Overall: Inetsoft is a lightweight, easy to use, cost-effective and flexible alternative to rigid and expensive BI reporting tools like Business Objects, Cognos etc. The existence of logical views on top of physical views makes it the ideal choice for integrating into other products. Ok the flip side, the new version seems to have performance issues. New visualization options are not seen in new versions. Integration of analytical tools like R is missing. Pros: the ability to use JS and SQL. Overall: I've worked with in Style Intelligence iNetSoft for more than 4 years .. am not going to tell you I never had problems because that would be a lie! but I want to say that every problem I faced had a work around right away OR a fix that was applied to the next built :) I've never experienced a better service than the tech people at iNetSoft! 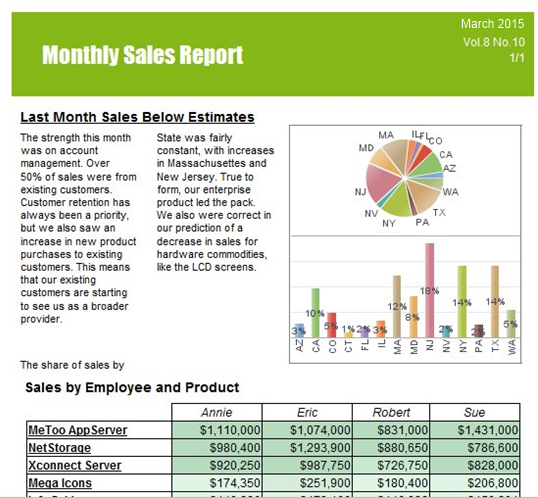 and the webinars they offer monthly are great I would totally recommend it for Marketing Dashboard designs. Overall: Our initial reason to purchase Inetsoft's Style Intelligence (SI) was for dash-boarding sales and service aspects of our business. While SI does this very well, the uses of the program became much, much more. SI manages information for Warehouse activities, service levels, transportation, sales and fresh food processing. We have increase efficiencies, grown margin and improved our customer satisfaction with information garnered from SI. Pros: The ability to quickly transform and integrate data from multiple applications and database source types so we can create a common set of reports and metrics for business units using different systems to track their engineering data. Cons: On-Line document lacks details for many of the more complex commands not used everyday. Product documentation layout is confusing, making it difficult to find answers to what we need when trying to transform complex data sets or build engineering style reports. Seems to be tailored more towards marketing and sales reports. Recommendations to other buyers: Be sure to sign up for complimentary product training webinars, it will help. Learn Java and try to keep reports as simple as possible (do not try to do everything on one view sheet). Comments: Flexible product with great training and support. The product has been very useful for quickly creating reports and data views. Support and training has always been available to us and quick to respond. Pros: Great support and training. Very flexible product that can be molded to your preference. 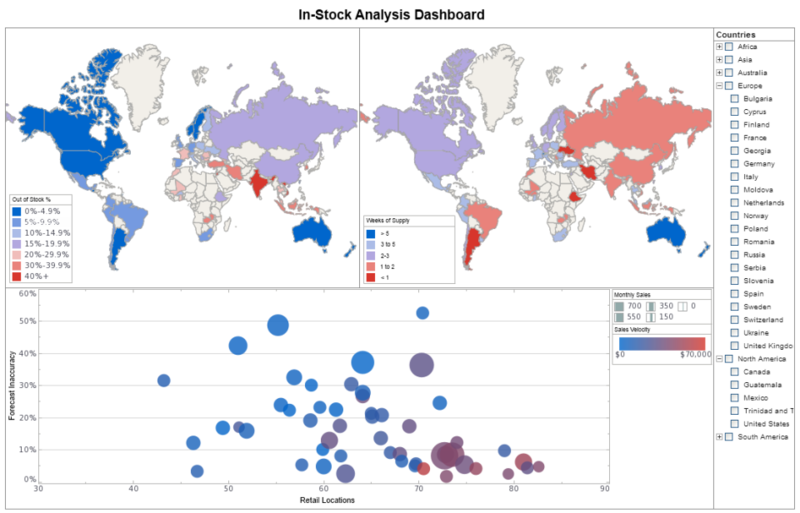 InetSoft Style Intelligence gave us an easy way to offer data visualizartion to our customers. Comments: Style Intelligence is used to give our customers easy to understand insights into large amounts of data. Giving them the ability to filter and see energy related time series data with just a few clicks. 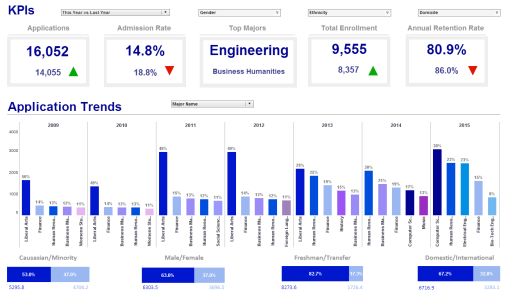 Time to develop dashboards and automate reports is the biggest benefit we have realized. Pros: Style Intelligence is easy to use and understand with good documentation, samples and support from InetSoft. Cons: Performance tuning could be easier to implement. Perhaps the software could analyze use and performance and make recommended settings with an easy way to apply changes. Overall: With little to no training, I have been able to teach myself Inetsoft. Anytime I have a question and issue the Support team is always there to help. I love the fact that I can go back and watch the webinars for reference. Cons: The OEM / White Labeling Integration progress is relatively good but certainly can use improvement which I believe will enhance channel / partner development for the company as well as the prospective partners. Cons: The tutorials available are for the previous version and the monthly webinars were quite helpful but you notice the whole of 2018 you had only 1 tutorial. I believe this is an area where you can really improve. Overall: I am using InetSoft for about one year now and I had a good experience with it. I appreciate the ease of getting the reports and dashboards done. My only complaint is that I can hardly find any help online about bugs and issues. And a community, forum would be really helpful. The customer service is really friendly and generally helpful, although confusing sometimes. InetSoft Style Intelligence - A top notch solution! Pros: The product has many great features. The vendor is always available to help with implementation, technical support and enhancements. The product is reasonably priced. Cons: No dislikes; just anxious to see more capabilities and enhancements be added to future releases. Recommendations to other buyers: We conducted a pretty extensive market research for our customers and users and evaluated several products before selecting InetSoft's solution. For our requirements and for our budget, InetSoft was the clear winner. Anyone considering a mission critical software solution should evaluate the most promising products before their final commitment. Overall: I work in a company that uses your software. And I find it isn't very intuitive. That being said, there isn't much training given on it. There glitches such as, not being able to resize a report after it's been made. Or columns not being able to populate right away. Comments: Stacks up well against the competition. It was our product of choice after looking at many So far our deliverables have proven solid in performance - happy customers ! Cons: At this time we are very happy and have nothing we dislike. Recommendations to other buyers: Be prepared and make sure you participate in the complete training program. Sure, you can learn quite a bit on your own and through the great training videos but we guarantee you will discover many things and how powerful their tools are when you dedicate the time to the end to end training - ours was 10 1/2 business days and it was time well spent. Comments: We are definitely looking forward to our future projects and getting an excellent of view of all of the data they provide. Pros: We're breaking into the construction industry and we were searching for the right analytics solution. We found that solution in inetSoft's Style Intelligence product. We've been able to meet all of our investors and clients requirements with ease. Cons: I am quite experienced with tools like this, and I could see how someone less experienced may be overwhelmed by their product. Pros: This intelligent software has helped increase the success of my company. combines on-the-fly data modeling with data visualization to enable rapid development which gives effective and fast results. It also allows users to edit in real time and work with information to make it visible or able to view it faster. Cons: None as we had good experience with this product. I can not think of anything. Pros: Inetsoft's solutions were unique in the ability to introduce custom data driven visualizations. I do mean custom- as in using java windows toolkit to draw our own graphics. This was an important consideration for our use cases. The openness and extensibility is impressive. Cons: The wide variety of capabilities and use case support- particularly through the API can be difficult to figure out and we have experienced some bugs. Inetsoft is generally quick to address a bug once identified. Recommendations to other buyers: Make sure you understand where you are on the effort-feature continuum. Will you spend 90% of your efforts addressing 10% of your use cases? Does the software really allow you to do what you want. All software has limitations. Inetsoft's has fewer than most. Overall: Style Intelligence is a lot like a Honda. It doesn't have a lot of bells and whistles or looks like the nicest car in a parking lot. But it is reliable and it gets the job done at a reasonable cost. Pros: Product is great. Have various features that could be used. Setup and training was great! Great support. Cons: N/A - I have nothing to say inregards to dislikes. We use Style intelligence as our BI platform for Data Warehouse we design. Comments: This is the BI platform worth trying. Simple this is a good value for money. Pros: 1. Data mashup technology. 2. Ability to design queries in Excel like manner. 3. Architecture of the product with is really open for different integrations. 4. The way how the product might get localized. Pros: They are receptive to feedback and quick to incorporate it into their product. They offer a product that is flexible and supports a wide range of use cases. Cons: I think they still have some work to do in order to make the product more stable and less buggy, but its come a lont way over the last year or so. Recommendations to other buyers: Understand who your target users and what use cases you are trying support. Pros: The flexibility of the system is very robust. 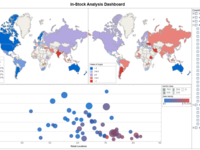 The ability to connect to disparate data sources and "mash them up" into a single dashboard or report makes this our go-to for data analysis. Comments: I took on a job that involved analyzing a large amount of complex data. I was really worried that I had bitten off more then I could chew. When I found inetSoft's Style Intelligence I new I would be fine. Pros: The multi-dimensional charting combined with the ability to really drill down makes this platform one-of-a-kind. They also gave me plenty of options for showing off the results for my finished project. Cons: Extensive training is needed, but this is pretty typical. Superior product all around! Great tech and customer service! Pros: The product is robust and flexible. The entire suite of products are easy to use. The entire InetSoft Team from sales to tech support is outstanding and always helpful. Cons: I have no negatives to state. So far my experiences have been all positive. So it is difficult to find anything to actually complain about. Both the product and vendor have met my expectations and more. Recommendations to other buyers: Get on a webnair or demo with the sales team and watch the magic unfold before you. Recommendations to other buyers: InetSoft will give you a chance to test drive their product. You will quickly see how it turns data into usable and intelligent information. Comments: Our company was looking for a robust business intelligence solution and stumbled across InetSoft after checking out your infographic. We're quite pleased with the software and would highly recommend it for it's ease of use and integration capabilities. Pros: The ease of creating data reports. Overall: The ease of setting up and creating reports and I really enjoy the soft colors. Also enjoy all new features and updates. Overall: My company start using style studio 10 years ago, at that time, everyone likes it. With the time goes, it seems software is not upgraded so much, it looks old right now. A lot of runtime issue and not very user friendly. Comments: I can usually figure out how to do something complicated, but when I can't your support is always very easy to work with and figure out a solution. Comments: The end user experience is not elegant. After 10 years of using the product, the visual designer is still flakey and unpredictable. There is still not a solid mobile architecture based on HTML5. We have to refresh server resources periodically to get performance. Has to be a better may promote changes.